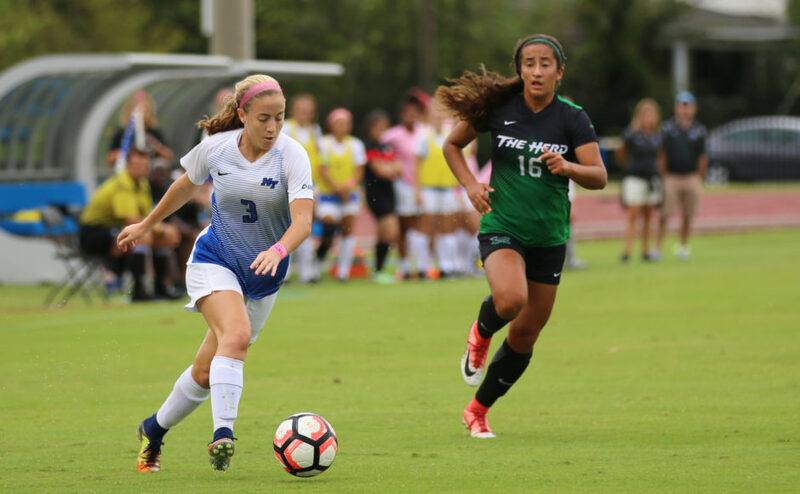 The Middle Tennessee Blue Raiders (8-8, 5-4) snatched a victory against the Southern Mississippi Golden Eagles (6-8-3, 0-6-3) on Senior Day by a final score of 2-1. 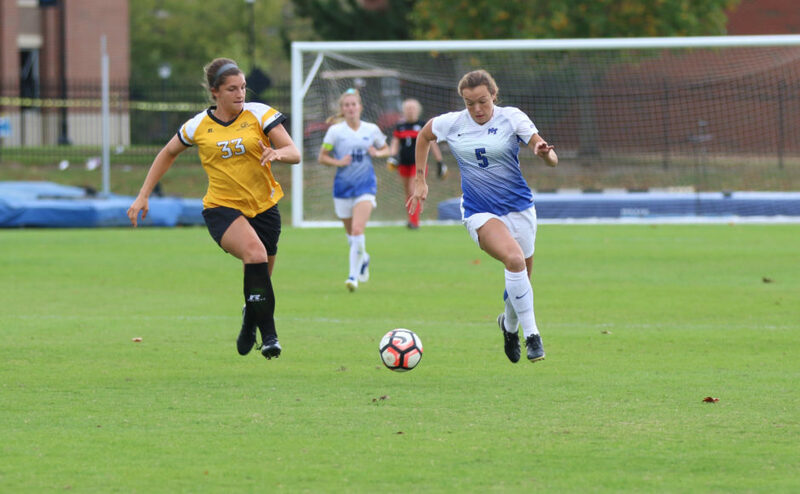 The Blue Raiders took an early lead with Peyton DePriest’s goal in the ninth minute of the game, assisted by Sam DeBien. 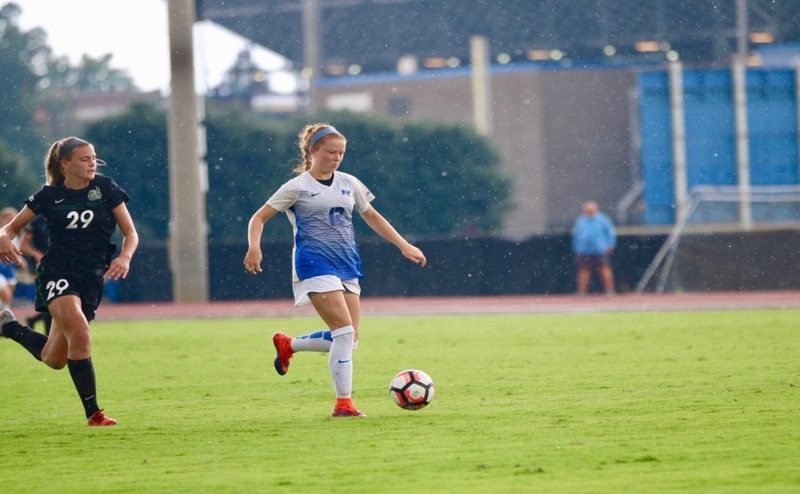 Taylor Hatch also scored in the first half of the game off of a pass from Amber Hoot to give MTSU a 2-0 lead at halftime. The second half favored the defense, with keeper Sydney Chalcraft recording eight saves and only allowing one goal. 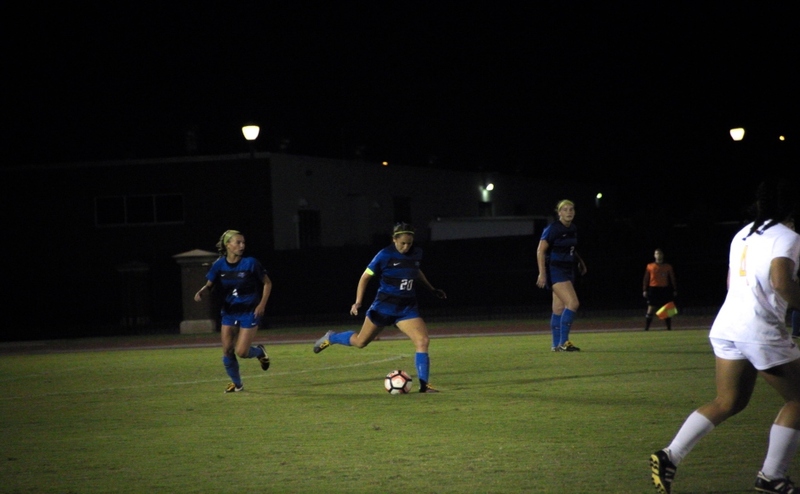 The only goal for the Golden Eagles was by Kierstin Bradley, who scored off of a pass in the box and provided a kick where the goalkeeper couldn’t save it. The goal wasn’t enough however, as the Blue Raiders earned a 2-1, hard-fought victory for the seniors at home. The game wasn’t without its down-points however, as DePriest walked off the field with an ankle injury. Coach Aston Rhoden said it doesn’t seem like a serious injury, but he will work with DePriest all week until the next game. In what was a final curtain call for the seniors at Middle, they got to do something last year’s seniors couldn’t do: end on a high note. 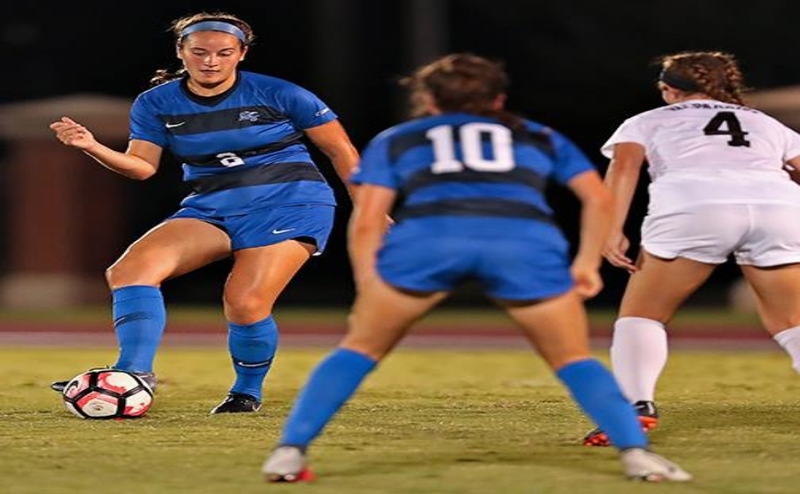 The Blue Raiders will play at University of Alabama in Birmingham on Friday in their regular season finale. The game will start at 7 p.m.